If you adore all things eclectic, quirky and crazy, then this homify decor feature is perfect for you and those out-of-the-ordinary ideas you always seem to have. The team of interior designers ensured that this article is filled with hints and tips that will decorate your space with drama and creativity in mind. So whether you adore the sleek and stylish or something eye-catching and bold, these 11 ridiculous interiors may appeal to you, or just shock your guests. Let's take a look! Imagine stepping into a bathroom with waterfall decor flooring? You might just be amazed by the creative element which can be recreated in your own space. Dolphins and marine animals are an essential to make bath time easier for your kids. This bathroom floor is definitely a shocking choice for an awe-inspiring modern home! All-white design and whimsical winding design, now that's a contemporary choice. 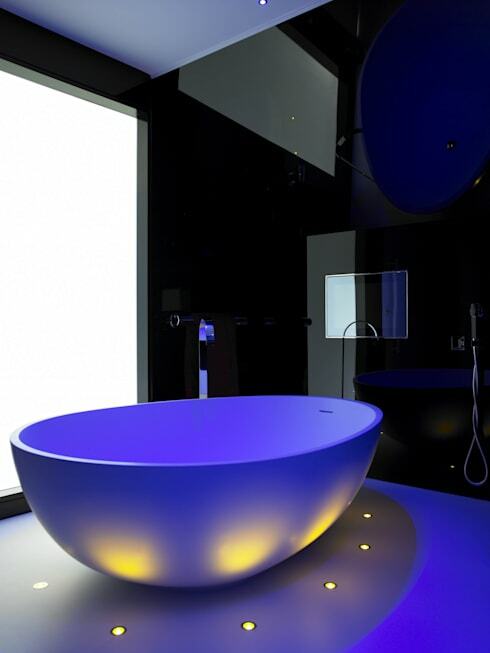 The electric blue LED lighting of this sophisticated bathroom adds to the statement-making decor. 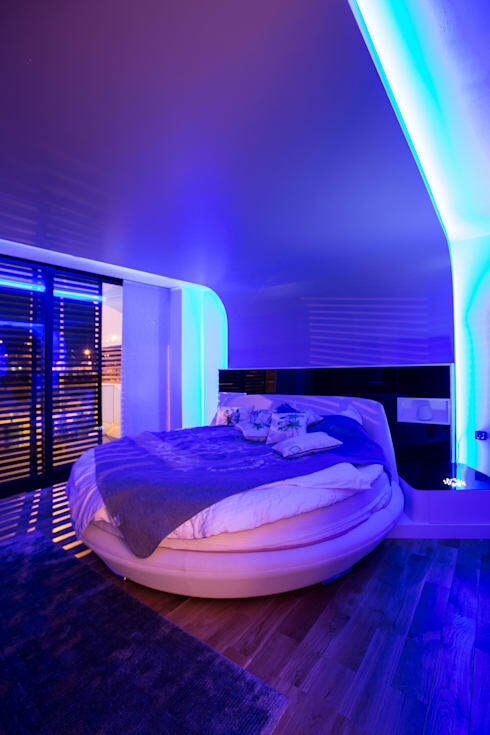 Another electrifying LED blue light decor, but this lights up a luxurious bedroom instead. A bit of a nerd or computer nut? 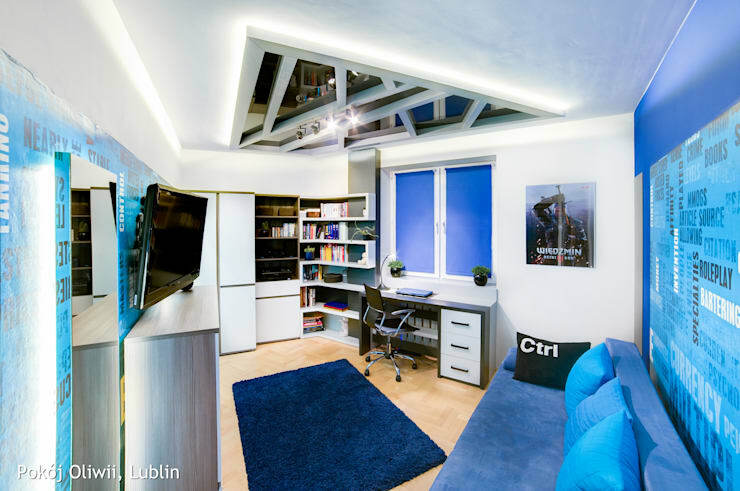 Then consider a vibrant blue wallpaper and bring your binary to life. 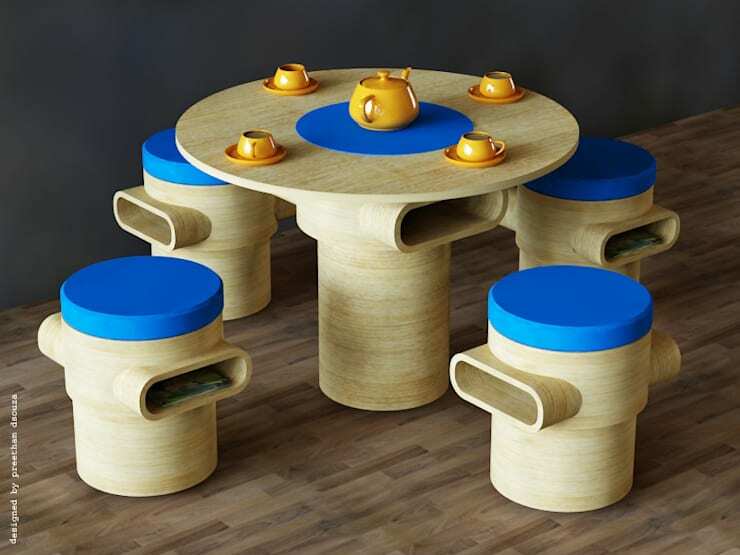 Opt for upcycled furniture to decorate your living room or patio and always be ready for afternoon tea. 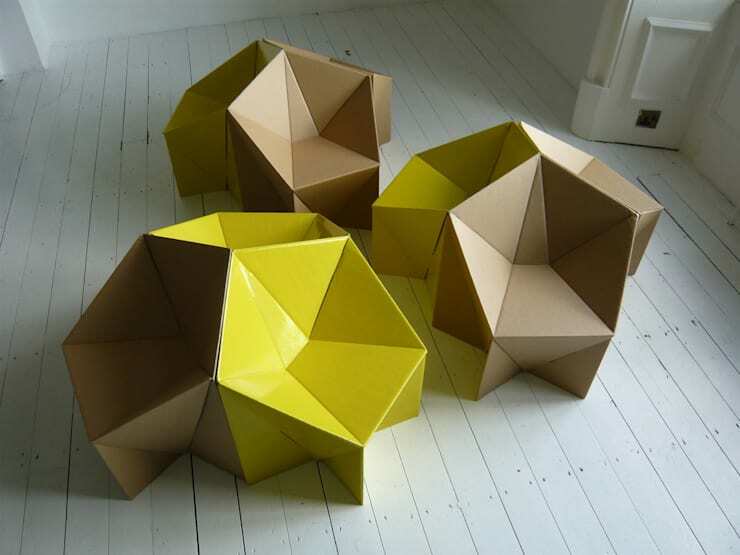 These colourful blocks create attractive seating in your home, but they double up as simple storage too. 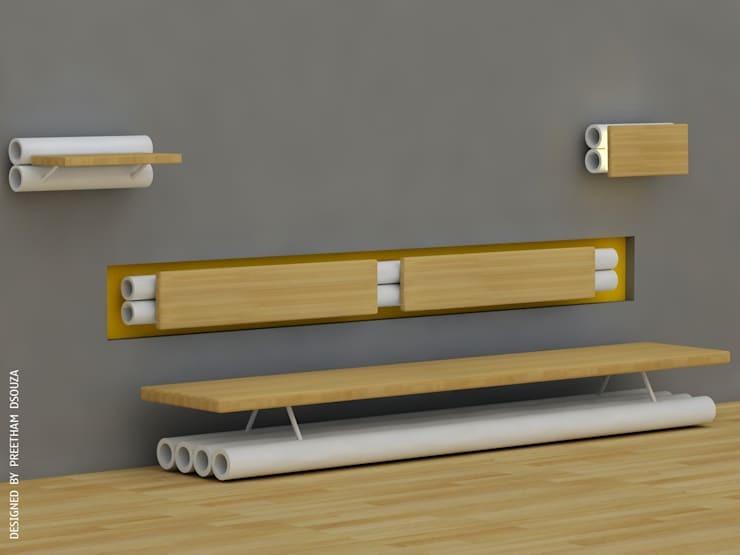 This wooden bench might seem like a random combination of items and materials, but the end result will make any minimalist living room or terrace look awesome. 11. Is this a chair? Which of these 11 ideas are a definite no for your decor?